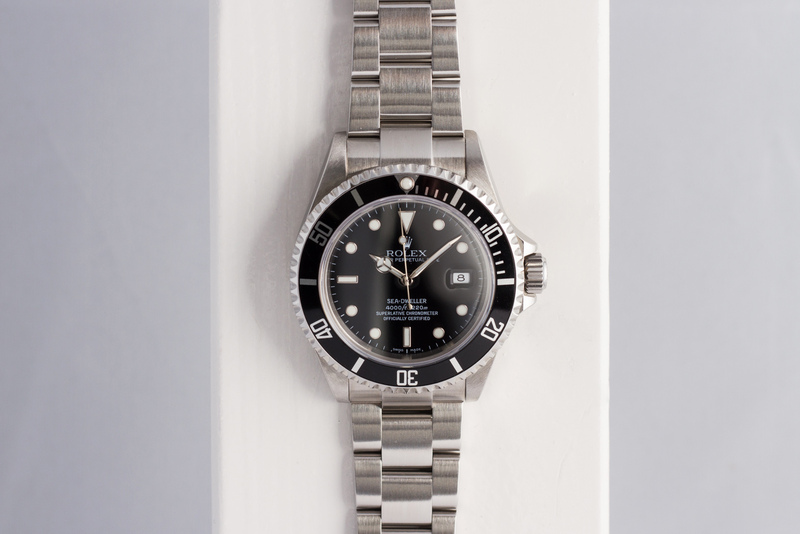 What can we say about the Rolex Sea-Dweller reference 16600 that hasn’t already been said by our fellow dealers and friends? 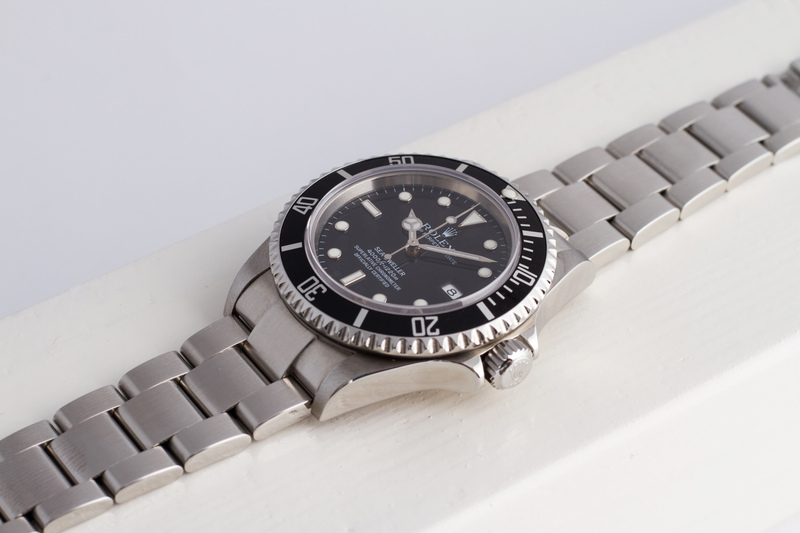 In our humble opinion it’s simply one of the best Rolex sports watches ever made! 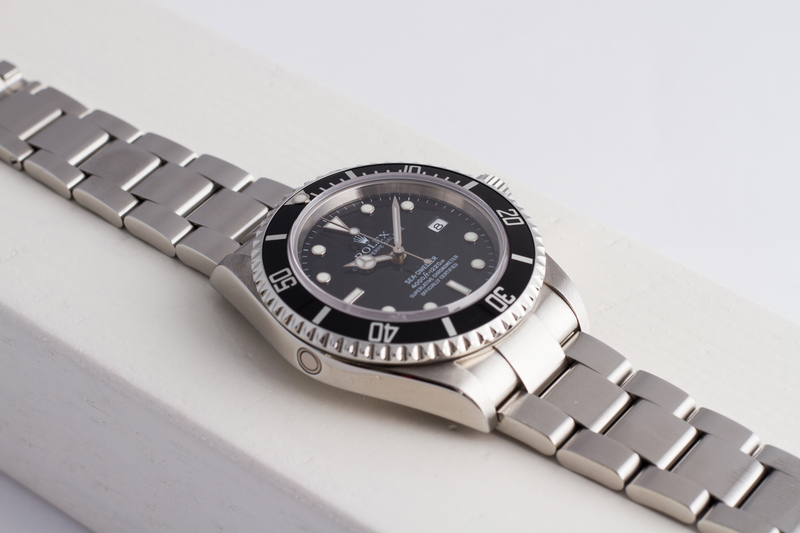 The 16600 is the product of decades of research and development by Rolex that started in the mid sixties and later was in close collaboration with the French deep sea diving company COMEX. Our 16600 is a Z-serial and one of the last ones produced before this reference was discontinued in 2008. 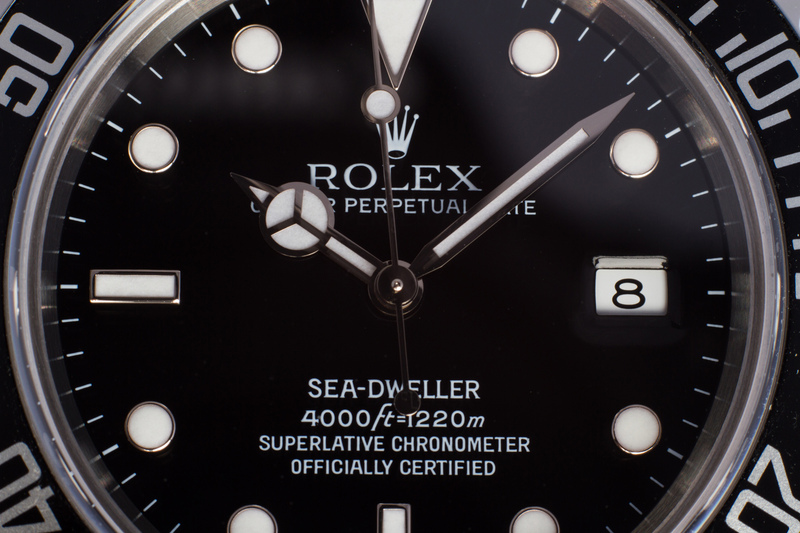 ”What is that round thing on the side of the case” is a question we get every now and then when a Sea-Dweller (SD) is on the table or on the wrist. Explained in a nutshell; When deep-sea divers would go into a decompression chamber after long hours of diving/working deep below sea-level, Helium gas would build up inside the watch-case. The rising pressure caused by the Helium inside the watch would eventually be released by breaking or popping of the plexiglass crystal. 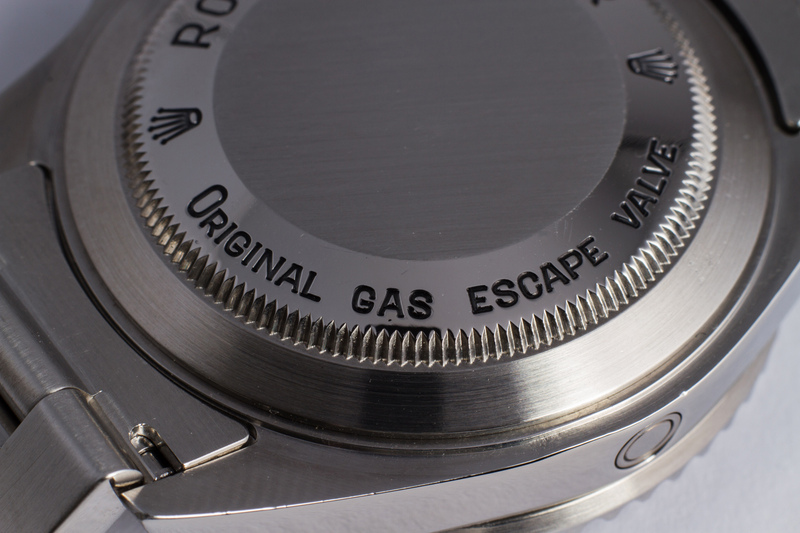 After changing the case design (in collaboration with COMEX and in consultation with it’s divers) Rolex fitted the Helium Escape Valve to the SD and it performed flawlessly! All Crystals remained on the watch and intact and no other damage ever occurred again inside a decompression chamber. Ever since, the SD is easy recognizable amongst other feautures, by it’s round Helium escape valve on the left side of the case. The Z-serial SD we are offering here is in a near mint condition and accompanied by the outer white cardboard sleeve, the inner and outer Rolex watch boxes, filled out and stamped warranty, Rolex hangtag, SD hangtag with serial number, Rolex booklets, extra SD Oyster link, the green SD folder with extra diving extension and Rolex cleaning cloth. 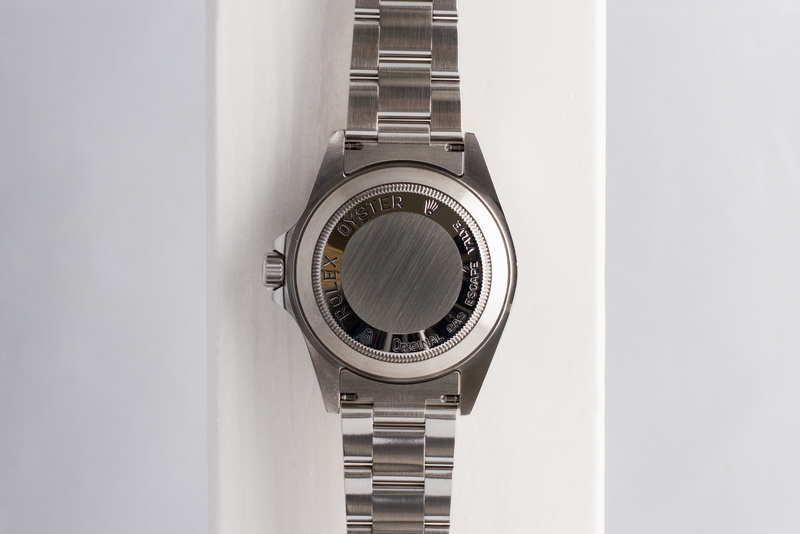 The entire watch is perfect and razor sharp, including the bezel and bracelet. The watch and it’s 3135 movement have been completely checked and waterproof tested by our watchmakers and comes with a 12 month warranty. This Sea-Dweller is looking for a new adventure, are you ready? !